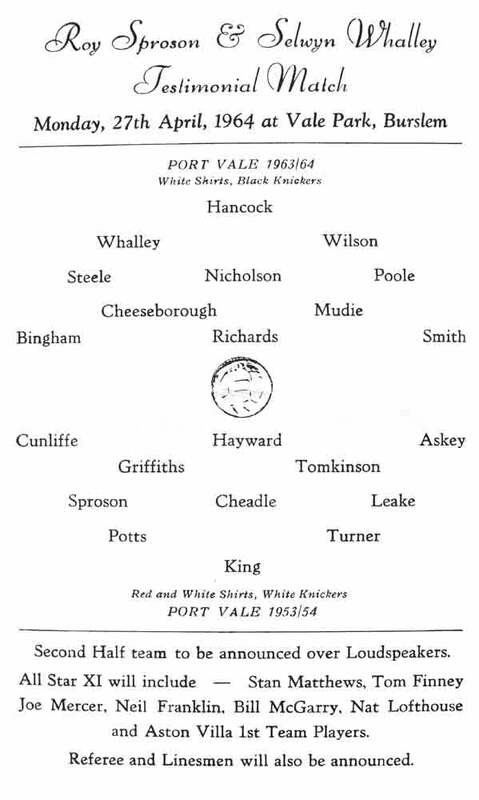 We take a brief glance to the past with a look at the programme for a 1964 Port Vale testimonial match, thanks again to Stuart Dean. 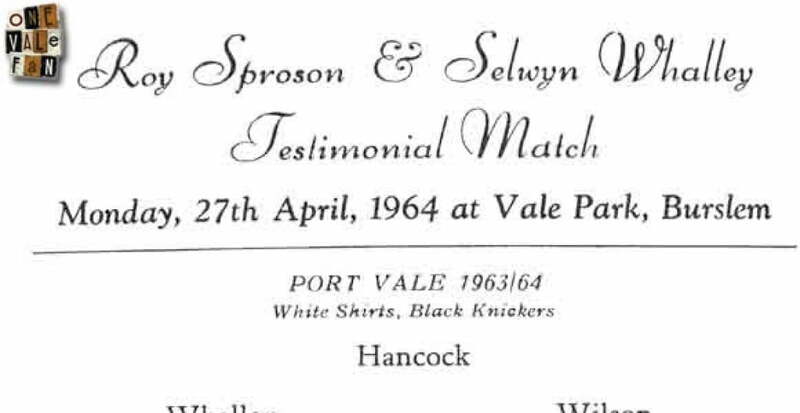 The game paid tribute to Vale stalwarts Roy Sproson and Selwyn Whalley with their testimonial game featuring an appearance by members of the 1954 Iron Curtain side (outrageously dressed in a red and white kit). Roy Sproson will be well-known to all Vale fans. 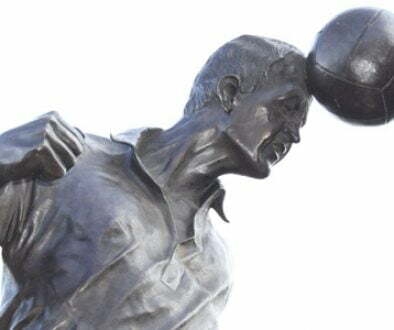 The club’s record appearance holder, his statue gazes out upon the official club entrance. Sproson, a one club man, made a club record 837 starts for the club and he also managed the Valiants. He sadly died in 1997. Right-back Selwyn Whalley was another one club man who spent his fifteen-year career at Port Vale. He made 196 league and cup appearances for the club, before he was forced to retire due to a foot injury in May 1966. He sadly died in 2006.